Real Madrid has been the most dominant club in Europe in recent years, winning the Champions League title in each of the last three seasons, and four times in the last five years, as well as the FIFA Club World Cup in the last two years. The club embarked on a new era following the departures of first Zinedine Zidane who resigned in May immediately after guiding Real to her third consecutive Champions League crown, and then record goalscorer Cristiano Ronaldo who departed the Spanish capital for Turin, swapping Real Madrid for Juventus in a record breaking deal after nine success laden years at the Bernabeu. Things have however not gone to plan, as Los Blancos find themselves struggling for form, and more worryingly - goals, post Ronaldo. The club began the new era with a loss in its first competitive fixture against Atletico Madrid in the UEFA Super Cup, and are currently on a four game winless streak. Real Madrid is also on a shocking run in front of goal, as the record European champions have not found the back of the net in four consecutive matches, marking their longest run without a goal since 1985. Consecutive 3-0 and 1-0 away losses to Sevilla and Alaves respectively in LaLiga as well as a 1-0 loss to CSKA Moscow in the Champions League has mounted the pressure on Julen Lopetegui, and there is already speculation that his job is on the line barely three months into his tenure. This loss in form has put Real Madrid in the negative spotlight, as a club of its stature should not be struggling to score goals or win matches against inferior opposition. A lot of prognosis has been made over why Real Madrid is struggling, as fans and pundits alike dissect the situation in a bid to find out the root cause of the problem. Here are six reasons why Real Madrid Is struggling at the moment. Gareth Bale was signed as the most expensive player in history when Real Madrid bought him from Tottenham in 2013 after his captivating performances in the Premier League with the London team where he won two PFA Player of the Year awards, as well as one PFA Young Player of the Year award. 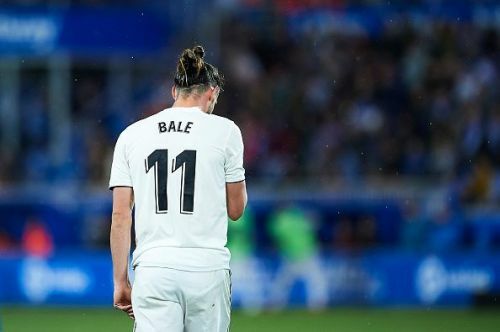 Since then, Bale has shown glimpses of his undoubted quality, but worryingly to Madrid fans, he hasn’t shown his abilities as frequently as his wages and transfer fees merit, as injuries and competition for places have limited Bale’s impact. Bale is a player of undoubted world-class ability, and some of his performances such as his stunning overhead kick against Liverpool in last season’s UCL final, as well as his remarkable solo run past Marc Bartra in the 2014 Spanish Super Cup final were proof of his greatness. 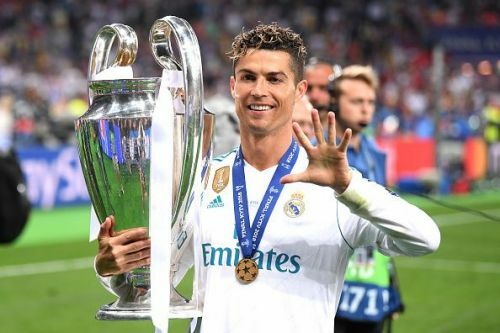 However, the underlying belief by many was that the presence of Ronaldo in the same team as Bale was limiting the Welshman’s effectiveness, as Ronaldo was always going to be the player around whom the team was built. Bale found playing time increasingly hard to come by, especially in the last two seasons, and voiced his displeasure at the situation after the Champions League triumph last May, with speculations linking him with a move away from Real Madrid. As it happened, those speculations didn’t come to fruition, as Ronaldo departed, and the stage was set for Bale to become the symbol of this Real Madrid team, and show the world his immense abilities. However, three months on from Ronaldo’s departure, and Gareth Bale is yet to truly fill in the substantially huge boots of Ronaldo. He has struggled to exert an influence on matches in the way that Ronaldo did during his nine year stay at the Bernabeu. Real Madrid looked to Gareth Bale to be the new source of inspiration, and the man to lead the club into the future post-Ronaldo, but the 29-year-old has failed to deliver and step up to the plate. This failure on the part of Bale is undoubtedly a key factor in the struggles being experienced by Real at the moment.